COMMENTARY Greece's leaders reached a last-minute agreement on budget cuts, which means the nation will likely receive a desperately needed $173 billion "loan." All of this changes absolutely nothing. 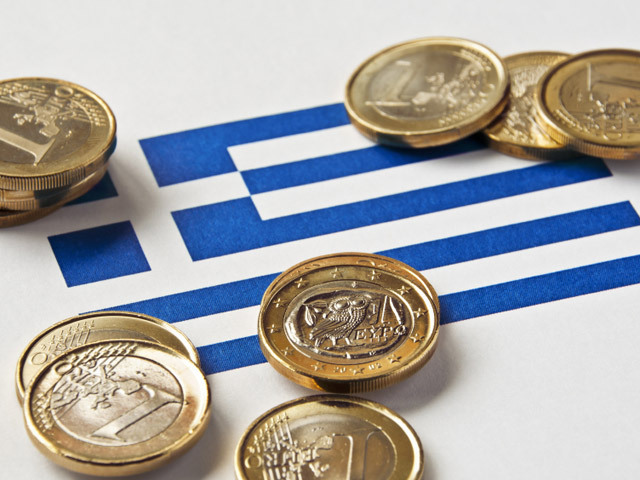 Even if Greece gets the money, it is still broke and hopeless. All that the cash will do is give Athens the money it needs to make the next round of payments on its debt. The EU leaders have bought themselves some more time, but that hasn't done them any good before. In a nutshell, here's what happened today: The leaders of Greece's political parties came to an agreement on a series of budget cuts. These cuts were demanded by the Troika -- the IMF, European Central Bank and European Commission -- before they would cough up the dough needed for the Greeks to pay their next round of bills on March 20. Prime Minister Lucas Papademos then flew to Brussels and gave the Troika the good news. Press releases went out, and there was about 30 minutes of jubilation in the markets before reality set in. Dow futures, which had been flat, jumped about 30 points on the news. But those gains are slowly going the way of the dodo, with Dow futures already dropping by 20 points at midday. S&P 500 futures edged up 1 point. Members of the Troika are understandably dubious about the agreement because getting the Greeks to agree to something is a long way from getting them actually to implement it. While they are all making big harrumphing noises about wanting to see these cuts go into action, there isn't a chance in hell they won't give Greece the money it needs. To do otherwise would be to loose the dogs of financial chaos, and they know it. Even if the cuts were put into action it wouldn't do any good. All they are doing is trashing what remains of Greece's economy. As of November, the Greek unemployment rate stood at 20.9 percent (that's the most recent date we have information for, which should tell you a lot about how well the government is running). Greek industrial output shrank by 11.3 percent in December from 7.8 percent in November, while manufacturing output dropped by 15.5 percent. The IMF and other international lenders have a long track record of demanding "austerity" budget cuts from governments before loaning them money. Unfortunately they have an equally long track record of these cuts failing to do any good. They may have won the battle for Greece, but they have certainly lost the war.